Two weeks ago I learned the news that Cassie aka @cassgooner on Instagram had lost her beautiful cat Millie. My heart broke for her instantly as my three cats are like my children and I couldn't imagine what she was going through, nor do I want to. So when Christine over at Simply Nailogical thought to do this collab to make Cassie hopefully feel a little less sad, I didn't even hesitate. To us without children, our pets are our family and that bond makes our lives whole. 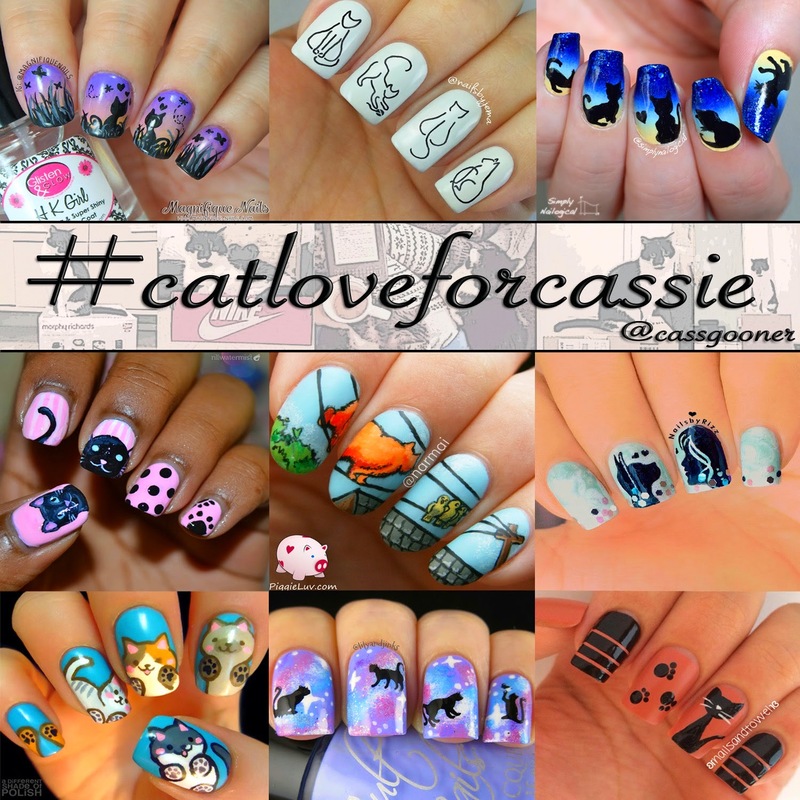 So to remember Cassie's Millie and in recognizing the space our cats hold in our hearts, eight incredibly talented nail artists on Instagram and myself collaborated on a 'cat love for Cassie' nail art collab. 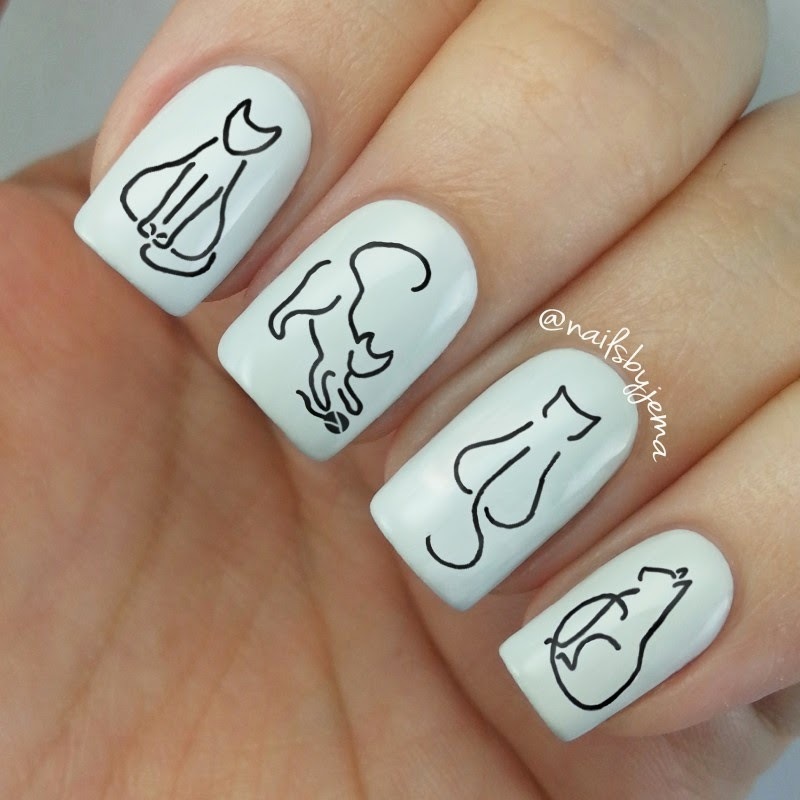 I started off with a base of OPI 'My Boyfriend Scales Walls' and then using a gel ballpoint pen I drew each kitty outline on my nail, left it to dry and top coated it :) Simple but not easy (SO many were wiped off in my attempt). A great collab to be a part of for a less than great reason. Crazy cat ladies forever. Yours are simply amazing! They are all great.